U.S. President says there will be more sanctions against North Korea after declaring it a state sponsor of terrorism. 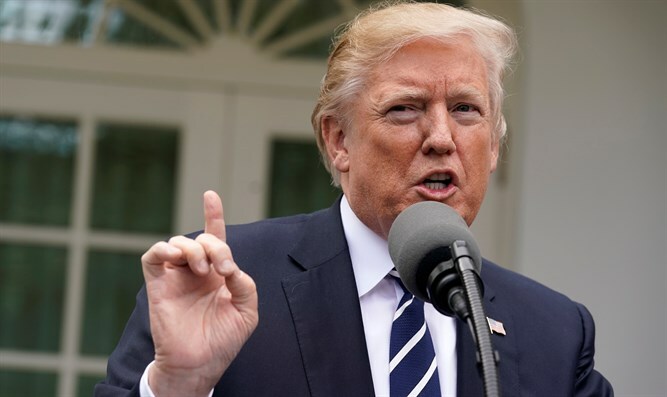 U.S. President Donald Trump on Monday declared North Korea a state sponsor of terrorism, promising a rapid ramp-up of Treasury sanctions against the isolated state. "Should have happened a long time ago. Should have happened years ago," Trump declared, according to AFP, citing the death of a U.S. student who had been held in a North Korean jail and the assassination by nerve agent of the elder brother of North Korean leader Kim Jong Un on foreign soil as reasons for the move. At the same time, Secretary of State Rex Tillerson later stressed that Washington has not given up hope that sanctions and diplomacy can pressure Kim into agreeing to sit down and discuss his nuclear disarmament. Tillerson said that punitive measures were already having a "significant effect" on Pyongyang's economy -- even if China has yet to cut off oil supplies to its sole refinery -- and added, "We still hope for diplomacy." There have been increased tensions between the United States and North Korea in recent months, as Pyongyang continues to conduct nuclear and ballistic missile tests in defiance of UN sanctions. Last week, the president said that the "twisted dictatorship" in North Korea cannot blackmail the world, adding that the goal is to "denuclearize" North Korea and stressing the U.S. has made clear "all options remain on the table." North Korea is already under a crushing package of United States and United Nations sanctions, and Monday's terror designation will not have much immediate economic impact, noted AFP. Trump, however, said his declaration would kick off a two-week period of announcements -- starting on Tuesday with a "very large" U.S. Treasury sanctions measure -- that would eventually amount to a "maximum pressure campaign." "In addition to threatening the world by nuclear devastation, North Korea repeatedly supported acts of international terrorism including assassinations on foreign soil," Trump said. In February, Kim's potential rival and elder brother Kim Jong-Nam died after he was sprayed with a nerve agent in Kuala Lumpur airport, in an assassination blamed on Pyongyang. U.S. officials, speaking on condition of anonymity, said Monday that other murders have been linked to North Korea, but the State Department said information about them "remains classified." "As we take this action today, our thoughts turn to Otto Warmbier and others affected by North Korean oppression," Trump continued, underlining the legal case for the designation. Warmbier died this year after he was repatriated from detention in North Korea already in a coma. U.S. officials allege he was tortured in custody. The White House has declared it will not tolerate Kim's regime testing or deploying an intercontinental ballistic missile capable of carrying a nuclear warhead to U.S. cities. Kim's government insists that, in spite of international sanctions to develop a capability it believes is essential to defending itself from the threat of U.S. and South Korean invasion. Officials would not say on Monday what new sanctions might be announced on Tuesday and in the two weeks to come, but an outside expert said he expected secondary measures against Chinese banks and an Asian diplomat predicted action against individual North Korean traders working in China.